Wow, it's about time for a post, right? 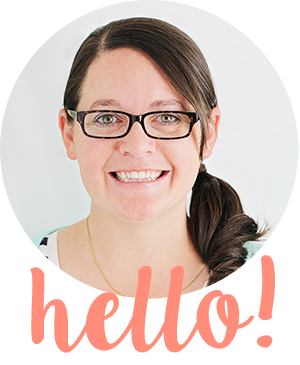 This week (like most weeks) has been really busy, and I haven't been feeling like blogging. It's funny, because I have a ton of fun posts saved up that I have photographed and edited, but I have the worst writer's block when it comes time to sit down and write the darn post. 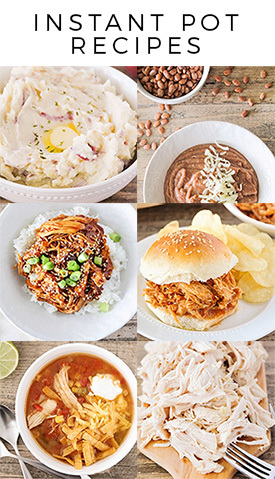 I'm hoping to take some time this weekend to knock out a few posts so I can share all my fun Halloween recipes before this season (my favorite time of year, by the way) is over! 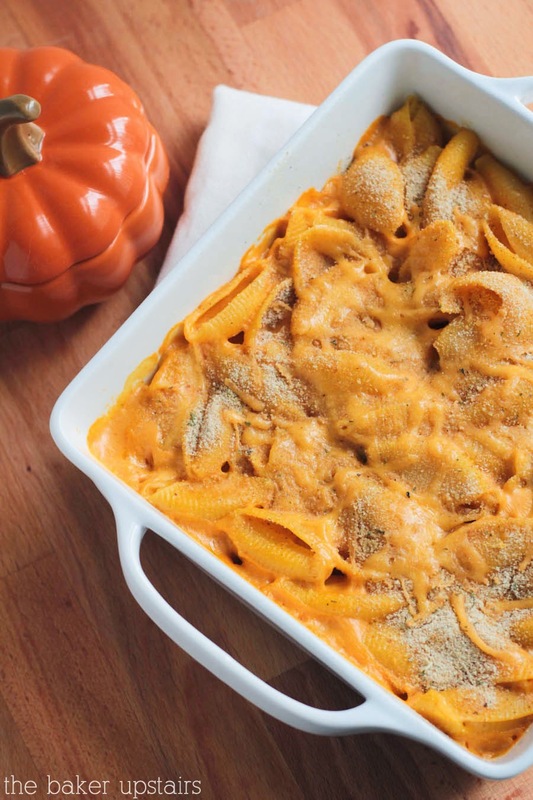 In any case, this creamy pumpkin pasta is perfect for an easy fall dinner and tastes unbelievably good! 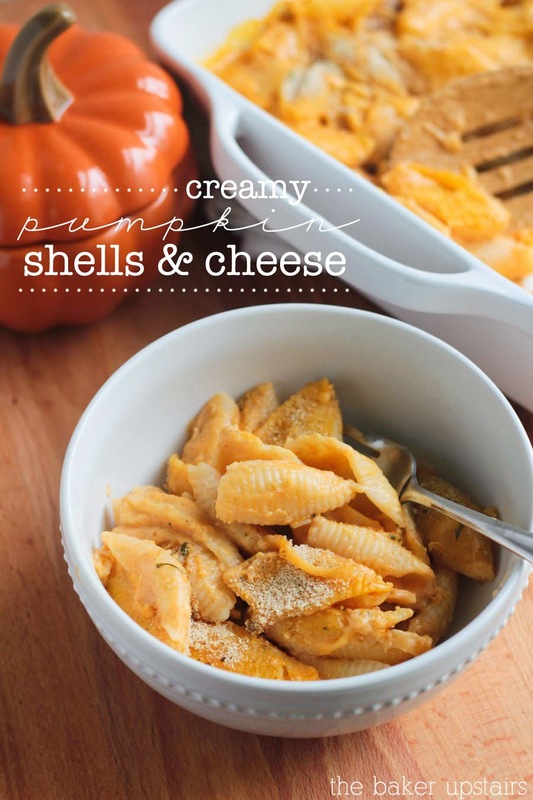 I'm always a little skeptical about using pumpkin in savory dishes, but the pumpkin makes this pasta incredibly flavorful and savory. It's definitely subtle and not overpowering at all, but it adds a lot of richness and depth of flavor. I also love that this is so easy and quick to make! It's definitely going to be on the menu all fall long! Preheat the oven to 350. Cook pasta according to package directions. While the pasta is cooking, melt the butter in a large skillet over medium heat. Whisk in the flour to form a paste, and cook 1-2 minutes, or until golden brown. Slowly add the milk, whisking constantly, until incorporated. Slowly add the chicken broth, continuing to whisk, until the sauce has thickened. Whisk in the salt, pepper, and ground pumpkin, and let cook 2-3 minutes. Remove from heat and whisk in the grated cheese until melted. Toss the cooked, drained pasta with the sauce. Pour into a 9 x 9 baking dish and top with bread crumbs. Bake 25 minutes, or until hot and bubbling around the sides. Enjoy!